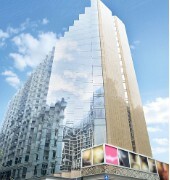 The hotel is a 10-minute walk from Star Ferry and the China Macau Ferry Terminal. 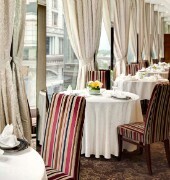 The Kowloon Hotel is a stroll from Victoria Harbour offering stunning views from the hotel. The Kowloon Hotel comprises 737 smoking or non-smoking guest rooms, all of which include facilities for business and leisure travellers. Wireless broadband Internet access is available throughout the hotel. 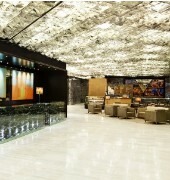 At The Kowloon Hotel, we offer travellers a modern balance between value and convenience. 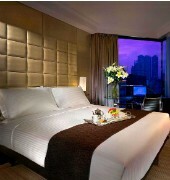 The KOWLOON HOTEL is a Tourist, Modern, Business, City hotel, Honeymoon, Full Service hotel. Located in HONG KONG area. Shopping is accessible by bus/taxi and the nightlife/restaurants are located in the hotel. Descriptionclass="small" style="text-align: justify; font-size:11px;">The hotel is a 10-minute walk from Star Ferry and the China Macau Ferry Terminal. The Kowloon Hotel is a stroll from Victoria Harbour offering stunning views from the hotel. The Kowloon Hotel comprises 737 smoking or non-smoking guest rooms, all of which include facilities for business and leisure travellers. Wireless broadband Internet access is available throughout the hotel. At The Kowloon Hotel, we offer travellers a modern balance between value and convenience.